Every day, groundbreaking ideas are transformed into startups. Their expertise and capabilities can help companies reach new levels of growth – but it can be hard to get their name out there. That’s why we’re shining the spotlight on the most promising tech startups that are innovating the future of work at TNW2019, so companies can benefit from their ideas. We’re partnering with Heidrick and Struggles and ISS to present the Future of Work Startup Program. Together, we’re encouraging companies to support up-and-coming startups, by giving them the chance to attend and exhibit at TNW2019 at no cost. Startups can now sign up for the chance to win a free exhibiting booth in the Boardroom of the Future Pavilion at TNW Conference. We’ll carefully select the top eight startups, who’ll have the chance to meet with top-tier investors, take part in the pitch competition, show their product on the business floor and network with 17,500 conference attendees. 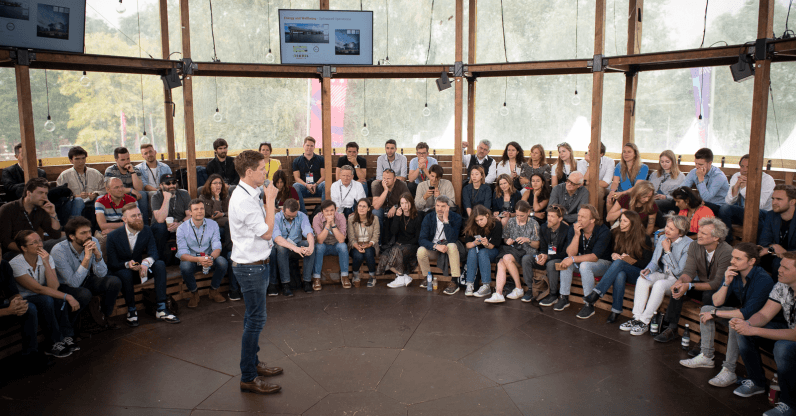 Want to exhibit your startup for free at TNW2019? Shoot us an email at startups@thenextweb.com!